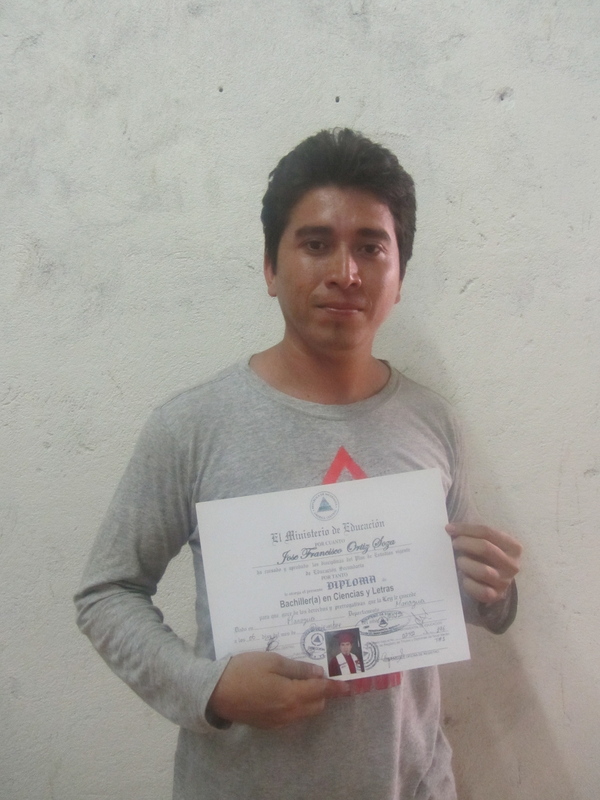 In 2015, Jimmy Martinez graduated top of his class from Chacocente Christian School. At that time, School Director Jacqueline Hernandez shared with the board of directors that Jimmy was very interested in going to nursing school. Thankfully, two generous supporters gave him the opportunity he so desired. Now in his third year of a five-year nursing program, Jimmy is studying hard and getting high grades. 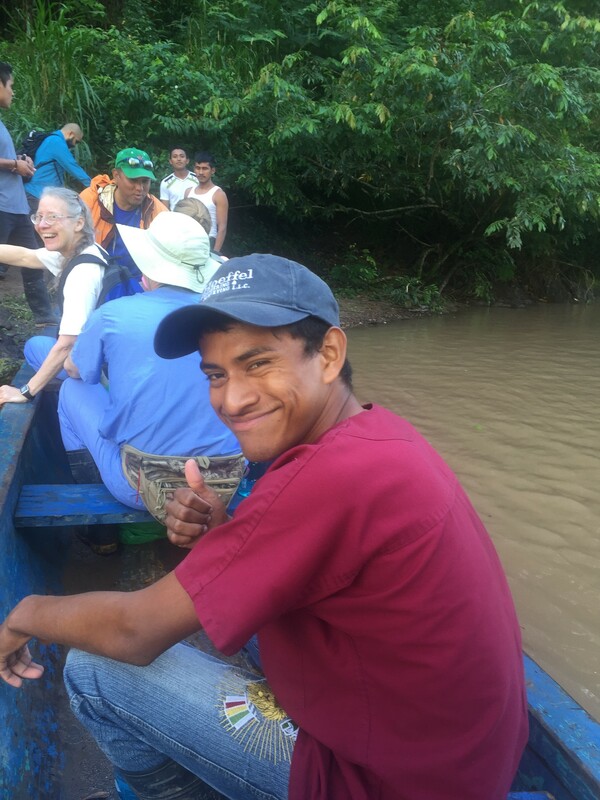 In February, during his school break, Jimmy took part in a medical mission trip with BOD members Larry and Robyn Gage to northern Nicaragua. Traveling by bus, boat and foot to reach remote villages along the Bocay River, Jimmy experienced his first journey away from home, his first hotel stay, his first boat ride and his first house call. He worked closely with Larry seeing patients who ordinarily have little or no access to healthcare. Jimmy was an eager student, but also proactively helpful in so many other ways- loading and unloading boats, setting up and striking tents, assisting with meals – lending a hand whenever he saw a need. Watching and supporting this young man as he works to improve his life and the lives of his family and fellow Nicaraguans is a huge blessing! 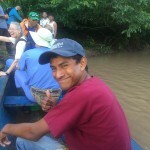 Many thanks to the sponsors who saw him through Chacocente Christian School and to his sponsors who are now gifting him his college education and a very bright future! When Dona Reyna made the decision to leave her home atop the trash heap at the Managua Dump and move her family to take part in Project Chacocente in 2004, her son,José Francisco Ortiz Soza, (nicknamed “Chiky”) was angry. At age 15, he was quite the rebel! The violent gang he belonged to threatened him if he left. Reluctantly, he joined his mother, sister and brothers in the rural countryside of Masaya but quickly became bored and moved between the dump and Chacocente for several months. Thanks to the perseverance of his mother and the staff, he realized his future could be quite different than the futures of his gang member friends. He began to spend more time at the Project, helping with home construction, farming and attending public school. 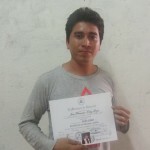 Since then he has earned his high school diploma, completed a technical course in electricity and earned a certificate for English fluency from the University of Central America. He is employedin Managua in telecommunication and often helps translate for visiting delegations. We are so proud of the strong, determined young man he has become! Relocating with her husband and three daughters from the city to the countryside was scary at first, recalls Karen Paiz Lopez. Any anxiety was quickly turned into positive energy as she rolled up both sleeves and began the long, difficult journey toward self-sufficiency. In 2004, Karen gave birth to the first baby to be born at the Project. 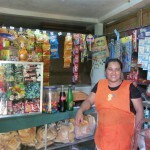 Karen is a devoted wife and mother and a successful businesswoman. 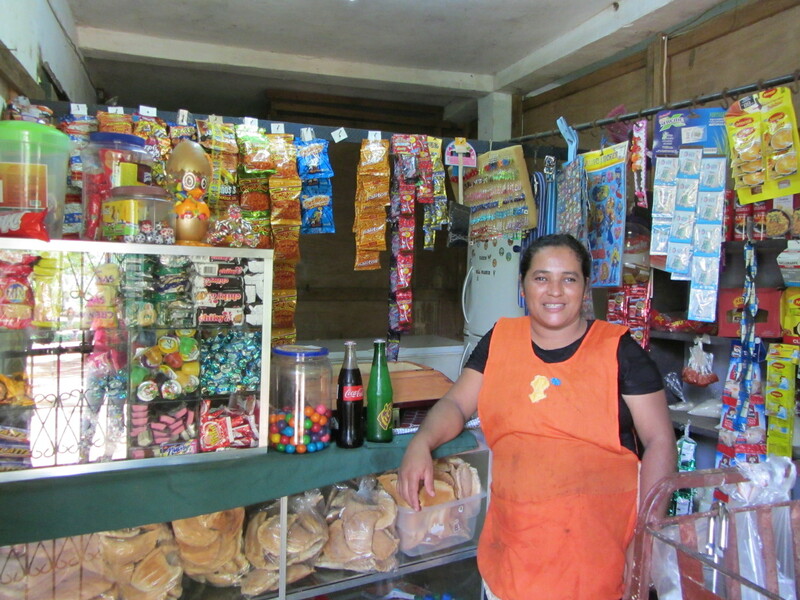 She operates a pulperia(convenience store) on the Chacocente grounds selling home baked goods, snacks, drinks, fruits and vegetables to the neighboring community. Karen and her husband, Juan Carlos, have added onto their home and rent space to volunteers and visitors. She is a hard worker and forward thinker and we’re excited to see just what she’ll accomplish next!